Gold bars are gold bullion shaped for practicality. They are easy to store, transport and hide. Do you need to store as much gold in the least possible amount of space? Get gold bars. Modern gold bars are shaped and sized such that they are easy to transport and store. They range from 1 gram to 10 ounces troy, and are of uniform dimensions. Of course there are much larger bars, 1 Kilo, for example, but those are much larger. 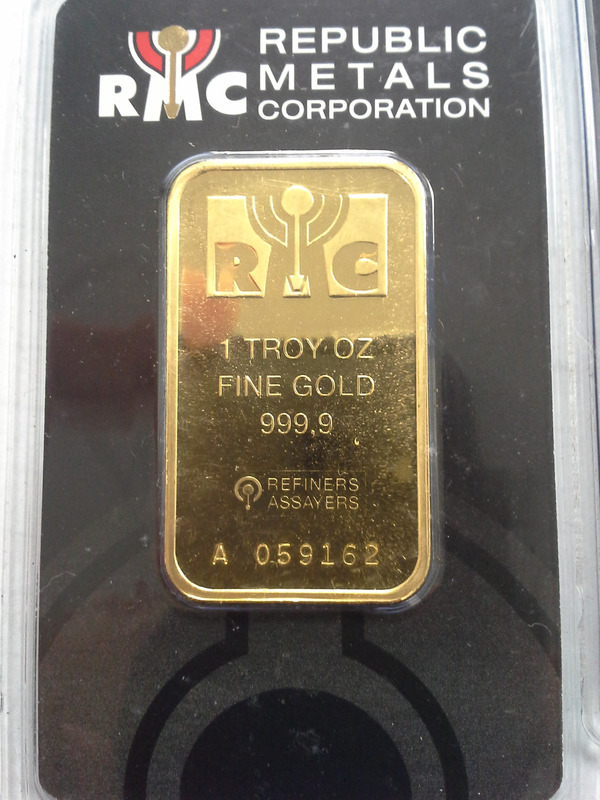 Om addition, modern gold bars have hard to duplicate minted features and distinctive features. Plus the assay certificate and serial number is imprinted in the obverse. 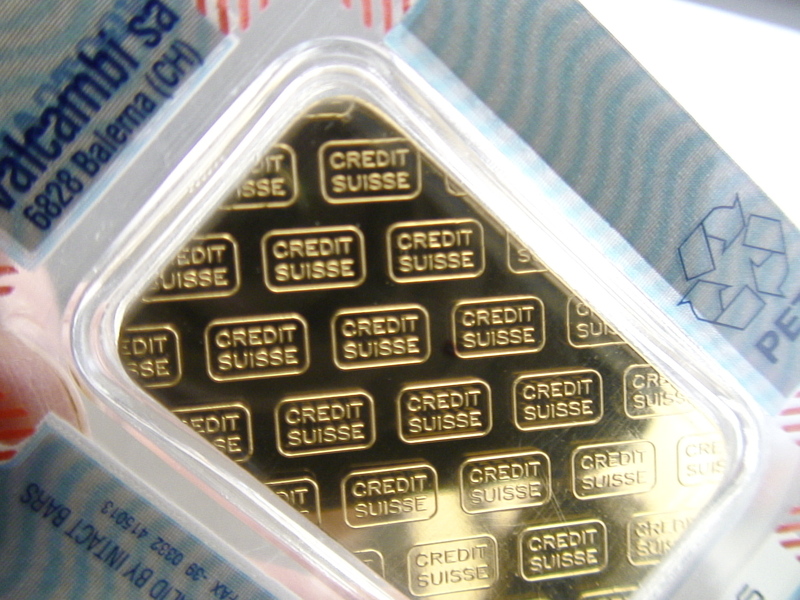 All those features combined, make modern gold bars very difficult to counterfeit. “Fineness” refers to how pure the precious metal is. This is measured in “Karat”, “Parts per 1000” or “Parts per 10,000”. All modern gold bars are 24 Karat (24K). In fact, this gold bullion format typically 999.9 pure, meaning that 9,999 parts out of 10,000 parts are gold. That is amazingly pure. Older gold bars range from 995 to 999 pure. That means 995 to 999 parts out of 1,000 parts are gold. That is also extremely pure. However, there are less and less old gold bars. Most old gold bars end up re-refined. Manufacturers are refiners that are equipped to refine and mint gold. 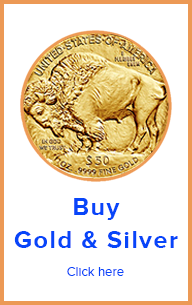 Many are accredited with the LBMA (London Bullion Market Association) and other similar precious metal leaders. LBMA or not, their process are state of the art. 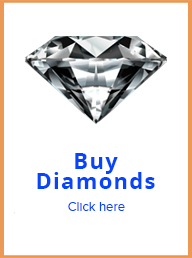 These companies most often produce gold bars under their own brand(s) and other’s brands. Brands are produced for companies that market bullion under their own name, but not necessarily produce the bars. A typical example of this is the “Credit Swiss” brand. 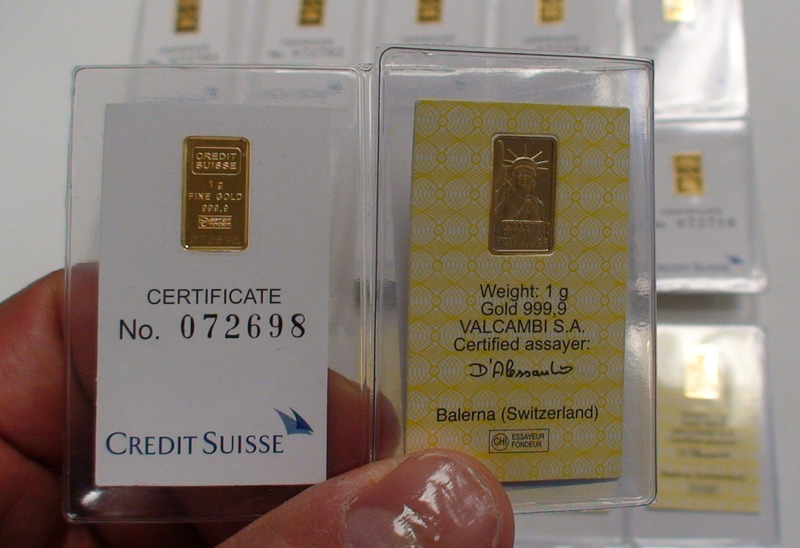 Credit Swiss gold bars are manufactured by Valcambi, PAMP and others. Such fact is even presented in the minting and packaging itself. Gold bars have strictly intrinsic value of the gold value. They have no numismatic value. Maybe some people will pay a little more for such a thing as bar minted “N.M. Rothschild & Sons”. But such gold bars are uncommon, and usually start at 1 kilo. Gold bars do not deviate much from the international price of gold. 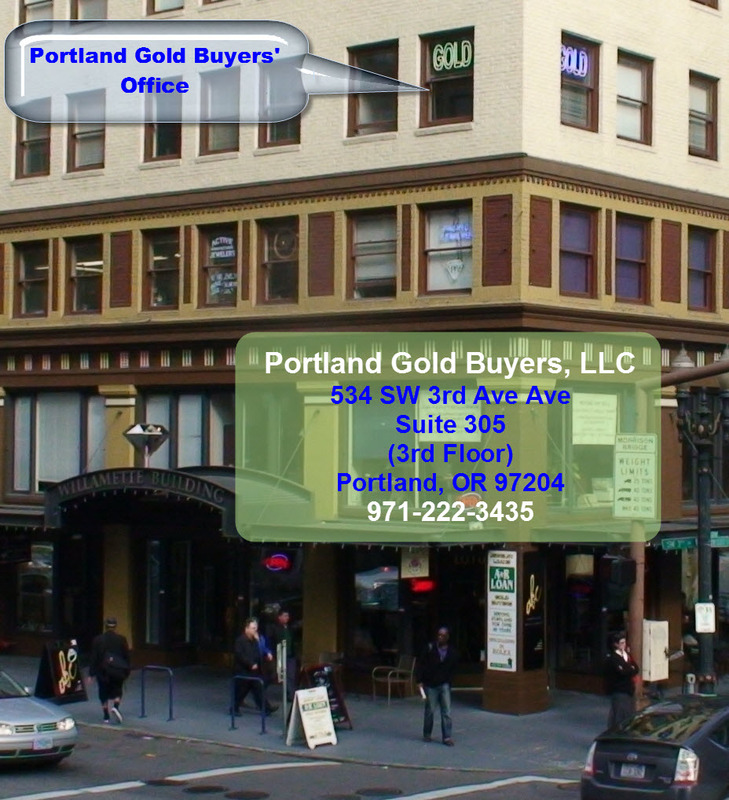 Modern gold bars range from 1 gram to 10 ounces. Below are the most common sizes.